I don't know how long I can keep up the song title / lyrics theme for my PADs, but let's go for one more day. In this case, I'm paying homage to Matchbox 20's Back To Good. My fellow Canonista is thinking about Mutley (and previously about me; I suspect that there are shots of me shooting on her CF card as well), Mutley is thinking about something on the beach, Mutley's owner is thinking about my fellow Canonista. The weather forecasts had suggested there would be some extreme surf conditions today which is why there were a few photographers on the beach this morning, but they were far less extreme than expected. 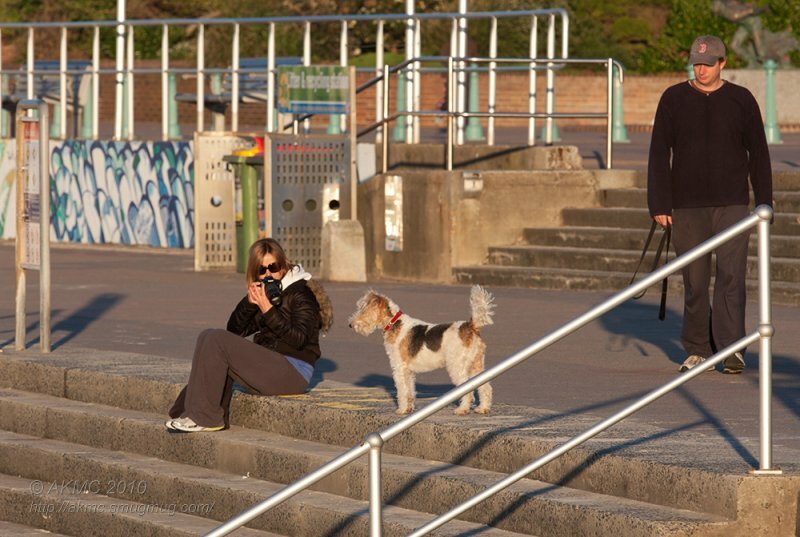 Some of the new shots will be found in my Bondi Beach And Surrounds gallery.